Ep. 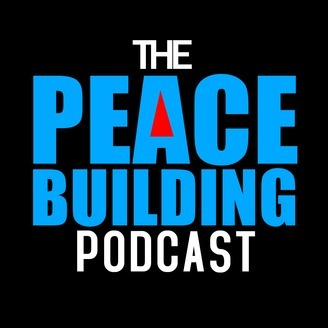 037: Melanie Greenberg: Making Peace in a Polarized World -- And the US is No Exception. . . When I travel outside of the US I often think that American citizens have no idea what a “war zone” we are actually living in. Guns are rampant every where. Military hardware comes back from global combat for use by our police departments further escalating violence. Since 2001, the US has spent $32M PER HOUR on war with each taxpayer paying a total of $24,000. US military spending far exceeds every other country on earth including China which comes in a distant second. Those of us in the conflict resolution field know all too well that when you create an adversarial climate, you get identity group polarization. Sure enough, racial tensions in the US are at an epic high and, while “the feminine” is rising, girls and the feminine are under harsh attack with man in our White House who brags of assaulting women and a Supreme Court majority that does not protect women by law from domestic violence. We in the US typically think of ourselves as the envy of the world to which certainly there is some truth. But we are numb to what it costs us — on every level — to dominate the planet. So when I heard Melanie speak at the AfP annual conference about the Hands Across the Hills initiative which applies the same peacebuilding approaches used in the most deadly conflicts around the world to conflict in the US I was intrigued and wanted to learn more. Melanie is one of those souls who exudes both integrity, kindness, high professionalism and intelligence. She is currently the Managing Director at Humanity United (HU) overseeing the peacebuilding and conflict transformation portfolio which develops, refines and implements strategies to build peace and counter violent conflict. She has helped design and facilitate public peace processes in the Middle East, Northern Ireland, the Caucuses and much more. Because she is one of the most seasoned and respected practitioners in the peacebuilding field, I wanted to hear her definition of peacebuilding, how it has emerged as a field, and what she sees as the trends. “Peacebuilding” emerged in around 1990 and was first articulated by Boutros Boutros-Ghali from the United Nations. Melanie describes the various streams coming together (at least in the US) to form the peacebuilding river: the Vietnam anti-war movement, the anti-nuclear movement, the environmental movement which required large scale consensus processes to resolve disputes around land, and the Alternative Dispute Resolution movement giving rise to mediation and other collaborative processes as an alternative to the adversarial American legal system. All of these movements, she says, inspired people to act for themselves and realize that building peace wasn't just the role of the government but could and should belong to citizens as well. She continues on with an excellent definition of peacebuilding which you can hear on the track. She sees many exciting trends in peacebuilding — what we are learning about the connection between neuroscience and peacemaking, and how peacebuilding is becoming more systemically integrated into our institutions. Cool to know that many of the large peacebuilding organizations have come together to improve the “branding” of peacebuilding — to make peace enticing, and counter the news culture of “if it bleeds it leads”. The most discouraging trend to her is that, among practitioners, the US is now generally seen as a “peacebuilding problem”. All of the criteria that are red flags for a peacebuilding initiative are present in this country — the level of gun violence, the tensions, the polarization, the number of deaths from violent conflict. In the Hands Across the Hills initiative, peacebuilder Paula Green is creating dialogue between people from a very conservative area from Eastern Kentucky and a very liberal area from Western Massachusetts. Please see show notes for more information. 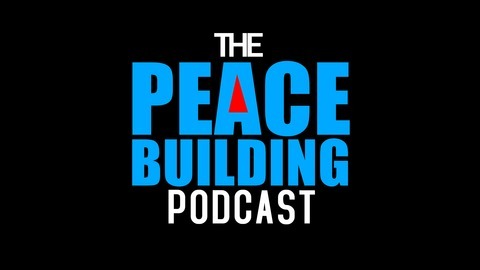 Leave us your thoughts at https://www.susancoleman.global/the-peacebuilding-podcast. We love hearing from you.